What is the ecological footprint of your lunch today? Seriously, think about what you brought with you, or where you went out to today. How much land was required to grow the crops or raise the animals involved? How much water did they require? What additional processes go into that food beyond just growing it, like the oil burned to ship ingredients to you? 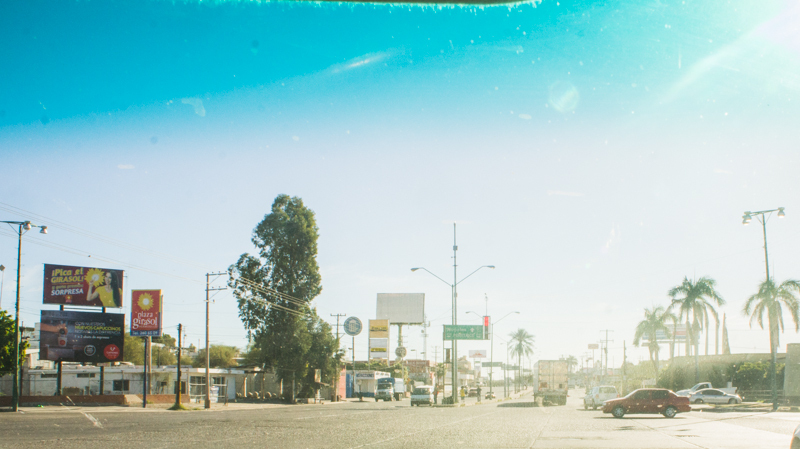 Driving in to Hermosillo for a visit last year, the view through my windshield at a traffic light. If you live in Tucson or in Hermosillo (or really in any city with increasing food cart culture now), your routine might include a visit to the nearest taco cart for some carne asada. And a team of researchers have now calculated the ecological footprint of all the carne asada from taco carts in Hermosillo. Their results will appear in a special issue of the Journal of the Southwest this fall. Carne asada, as I recently learned from two of the authors, Nemer Narchi of ColMich and Alberto Burquez of UNAM in a presentation about their research, has a more specific cultural history and context than just beef that is grilled. This particularly North Mexican dish is a specific process of grilling beef on mesquite charcoal and is a relatively recent culinary invention dating from Jesuit arrival. Carne asada is typically served on wheat tortillas instead of corn tortillas. The article traces the way cattle and wheat together were major agricultural introductions that settled a traditionally nomadic indigenous dominated north, allowing it to be incorporated into the centralized Mexican state. As mining and cattle culture spread, carne asada served alongside tortillas and salsas was born from family celebrations after butchering cattle to serve miners in mining camps. 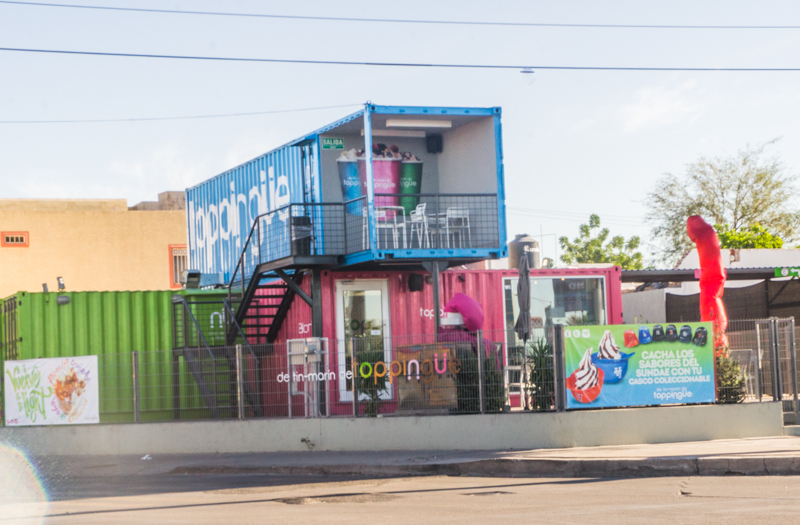 As the population of Northern Mexico became more urban, unemployed butchers during recession cycles opened mobile restaurants serving snack-sized combinations of these ingredients: the taco carts. A cow standing in a converted buffel grass pasture. I took this photo while visiting Alberto last year, near one of his study sites outside Hermosillo. The researchers then calculate the environmental and socioeconomic costs of the industry that has formed to produce the now ingrained culinary traditions. When you eat carne asada from a taco cart in Hermosillo, the cattle were likely raised on the extensive ranches surrounding the city. 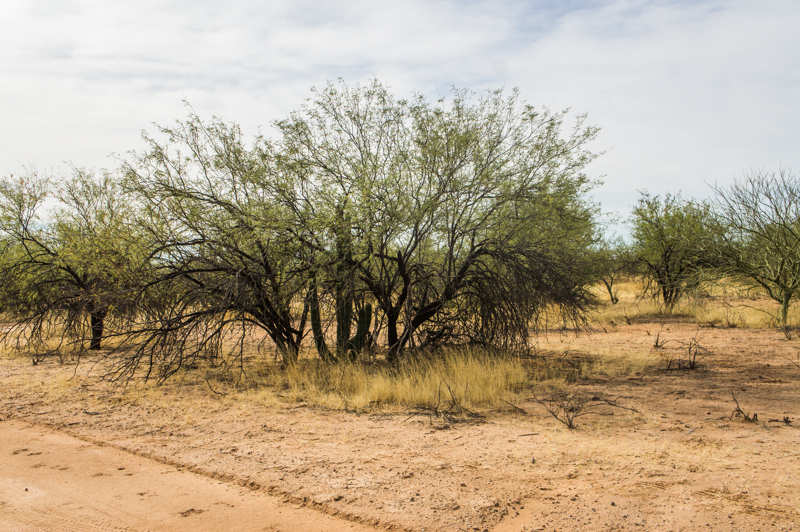 Throughout the state of Sonora, ranch lands are being converted from native Sonoran Desert thornscrub plants, including native grasses, to bulldozed and planted pastures of a grass introduced from Africa, known as buffel grass (Pennisetum ciliare). Yes, this is the grass that I have been studying for a good part of my dissertation research. It has a large effect on the native plant species. 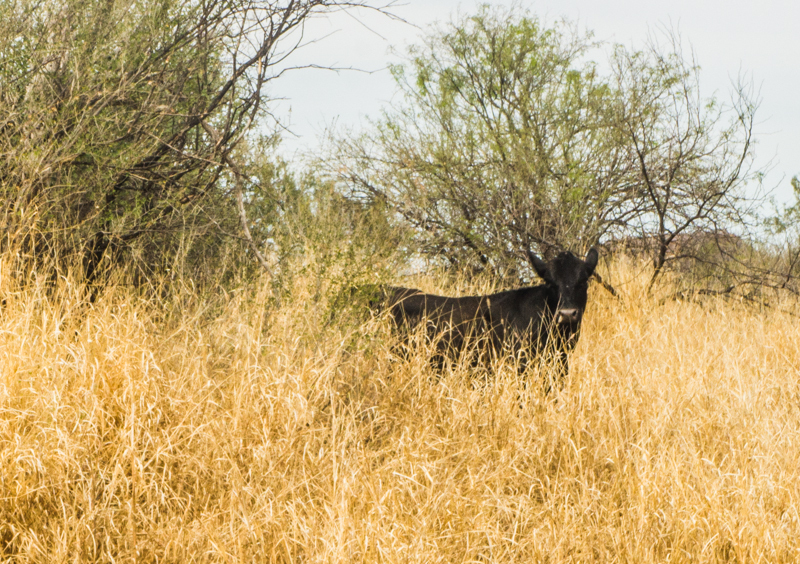 Between the bulldozing, the buffel grass planting, the water required, and the potential erosion and other effects of overgrazing, cattle ranching in Sonora to produce the legendary carne asada can have a heavy footprint, as well as a large one. And then you must consider the wheat grown to produce the tortillas. And the native mesquite trees cut, frequently from ecologically fragile riparian areas, to produce the mesquite charcoal used to grill the beef. So what is the final footprint? You’ll have to check out their article this fall or some recent press coverage for more details. A heavily grazed area that is not planted with buffel grass. But almost more importantly, this research focuses on the footprint of everyday objects, and provides a model for how to start researching that. You can plug your life statistics into online calculators to find out your overall ecological footprint, but it feels a little more abstract than knowing what this one taco required some specific amount of acreage and, increasingly importantly, some specific amount of water. They also examine why that footprint is what it is, what social and economic choices and policies and trends shaped that footprint. What are the footprints of the small pleasures and cultural anchors of your daily life? What would be your taco cart if you were to follow the lead of Nemer, Alberto, and their coauthors, to find out what something you consume regularly costs ecologically and why it is made that way? A neat view out my car window as I drove through Hermosillo last year.